My girl Dicka and I climb the stairs inside the historic building on the corner of 42nd Avenue North and Lyndale in North Minneapolis. We want to be called regulars at this neighborhood nail salon, and since this is our second visit, we decide we’re well on our way. Today, access to Vintage Nail & Spa is easy. But last summer, the messy roads forced us to park several blocks away and cross 42nd Avenue on foot. Road construction plunged the appearance of the street back to the 1800s, and we gingerly lifted our long skirts and crossed the abandoned dirt road on foot like two proper ladies heading into the mercantile to sell our baskets of eggs. 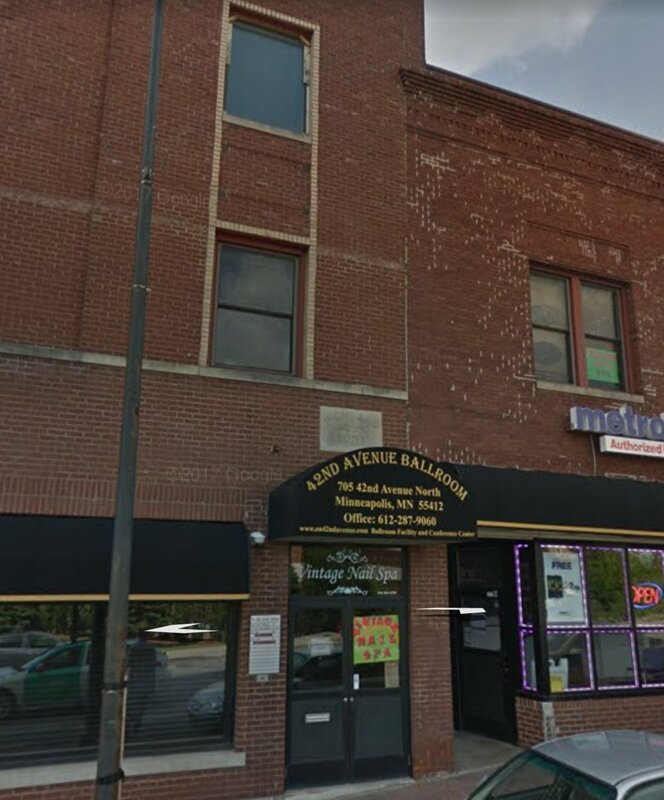 Today, we enter the nail salon, situated on the second floor in what was once an old ballroom. Teng, the owner, calls to us from across the expansive space. She’s with another customer, she says, but she’ll soon take care of us. I smile, remembering her friendly face. And just like last time, her eyes sparkle like she’s thinking of a joke but now isn’t the right time to tell it. One of Teng’s employees, an older gentleman, guides us to side-by-side massage chairs and stirs something blue and fizzy into the water of our foot baths. Dicka and I settle in, dipping our feet into the warmth. The chair kneads my back. I draw a deep breath and release it, letting my eyes flutter shut. My phone rings. I fish it out of my purse. My friend Trixie. “Are you guys okay?” she says, a little winded, her voice edged with worry. “That’s four blocks from our place.” I say it like it’s a planet away—maybe even a galaxy away—from us. “Oh. At least you’re okay.” I hear the relief in her tone, and she exhales. Our call finished, I focus on the leg scrub. My phone pings. Aunt F.
I open her message: I just need to know you’re okay. Saw breaking news on KARE11 that there was a shooting a few blocks from you and several (maybe five men) are in the hospital. Give me a sign, please. I tap out a response, putting Aunt F at ease. The man sands away at my heels. The previous minutes melt away, and I wonder why news of shootings hits me with the same urgency as I feel when I listen to the weather report. Tia, the resident massage therapist, is helping with pedicures today. She finishes Dicka’s foot treatment, and the man at my feet leaves his stool so Teng can take over. She inspects his work, then swipes the base, nail color, and top coats onto my toenails. Next is Dicka’s turn. Afterward, we move over to the manicure area, and Teng does her magic. Tia wanders to a table laden with crock-pots and dishes on the far side of the salon. She lifts one of the lids, a delicious aroma wafts out, and now I’m hungry. She fills a bowl with something from one of the crock-pots, then slurps up a spoonful of the steaming substance. Tia takes another taste and coughs. “I can’t do this.” Her face pink, she rushes her bowl toward a back room and disappears. Teng chuckles again and brushes a coat of polish on Dicka’s nails while I sit under a dryer for three minutes. I think I want to be friends with Teng. I also think about the food Tia attempted to eat, and my stomach rumbles. “Where are you from?” I say, trying to ignore my desire to sample the ‘orange stuff’ too. I mean to ask her what her crock-pots hold, but we talk about business on the Northside instead. It’s nearing eight o’clock now—almost closing time—and hip-hop blasts from the downstairs business, rattling Teng’s salon. A party. Feels like a party up here too, but it has nothing to do with the music. Happy with our nails, I pay, accruing more holes in our punch cards. If we prioritize the condition of our nails over the next year, we could fill our cards fast. And have more time to hang out with Teng. Because manicures and pedicures at Vintage Nail & Spa are so much more than getting your nails done. A regular manicure is $15.00; a regular pedicure $25.00. 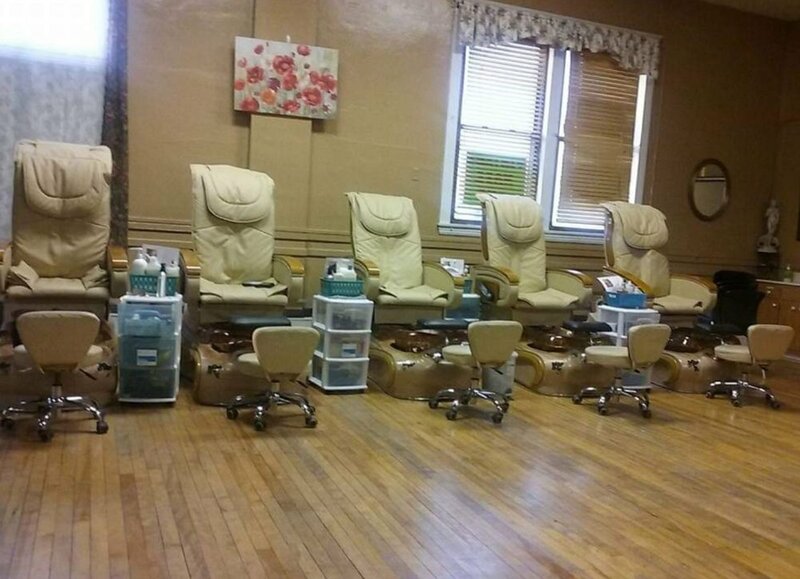 A mani/pedi combo is $35.00, but on Tuesdays and Wednesdays it’s on special for $30.00. Don’t forget your punch card! If you chip a nail within 3 days of your manicure or pedicure, Teng will repair it for free.